I like to call my little December promotion a writing contest, because, after all, you do have to write a comment to win. But even if you wrote the crappiest comment in the world and the random selector chose you, I would give you the present. So don't worry about composing the Great American Novel or anything. Since this is week three, let's do a little recap. The prize for week two was a set of disposable fountain pens, and the winner was Zan Marie Steadman (who should win prizes all the time simply on the basis of her name). CORRECTION: I have just been informed (see first comment) that it is Zan Marie Steadham, not Steadman. Sorry, Zan Marie! I still love your name! There are two weeks left, but since this week is the week before Christmas (just a little reminder for you, in case you had forgotten), I'm giving away the big one, the Grand Kahuna, the mother of all prizes. 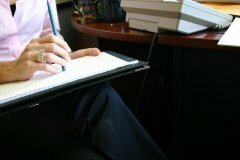 It is a free pass to my Make Money Writing class. I'm not going to spend a lot of time hyping the class here, because this is about you guys, my wonderful readers, not me. But you can read more about it on the class page, and let me just say this: people ask me all the time how to make money writing and this is my answer. And by the way, should you be a non-writing civilian who has chanced upon this page, I'm feeling generous and gracious today, so if you leave a comment you can enter on behalf of a loved one. Okay? Okay. Here's the question you need to answer in order to win (and remember, you're not being judged): If you could be guaranteed that anything you wrote made money, what would you choose to write? I'll post the winner on Friday, Dec. 23rd, two days before Christmas, according to my calendar. Don't thank me for the reminder, I like to be helpful. 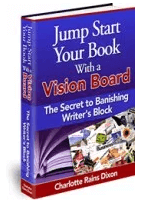 ***Don't forget to sign up for my newsletter, and get your free copy of my ebook on creating a vision board for your book. The form is to the right of this post. The photo is of you writing and making money at it, and its by Zion, from Everystockphoto. Any time, Zan Marie! Sounds like an interesting story. Patricia, I love: A. that I found your blog, and B. that you’re entering this contest for someone else. You rock! Thanks for coming by. Oh, I totally want to win this! Pick me oh random Fairy Godmother. If anything I wrote were guaranteed to make money, I would write a subscription letter where I could deeply reveal my innermost self. Thanks for the chance to win a class. Wishing you love and peace this holiday season. Sandra, Thanks for entering! Your enthusiasm is wonderful and contagious! All the best to you this Christmas also. I’d write what I write now: mysteries set in the present with things like cell phones and dialogue that sounds like it came from the forties. I’d love to win the class, Charlotte, but don’t be offended if I sit in the back. I love your mysteries, J.D., at least what I’ve seen of them. And you are welcome to sit in the way back–the class will be recorded, making it easy to listen any time! Thanks for your loyal readership. Oh my goodness, Carol, you must write that novel! I’m already in love with it, from the opening paragraph. I share your fascination with Africa, though I’ve not yet been. I was supposed to go to write a book in November, but some problems with the trip came up. Hoping that it happens next year….thanks for coming by! Jessica, I love that you’re putting in a vote for who should win, you are just great. 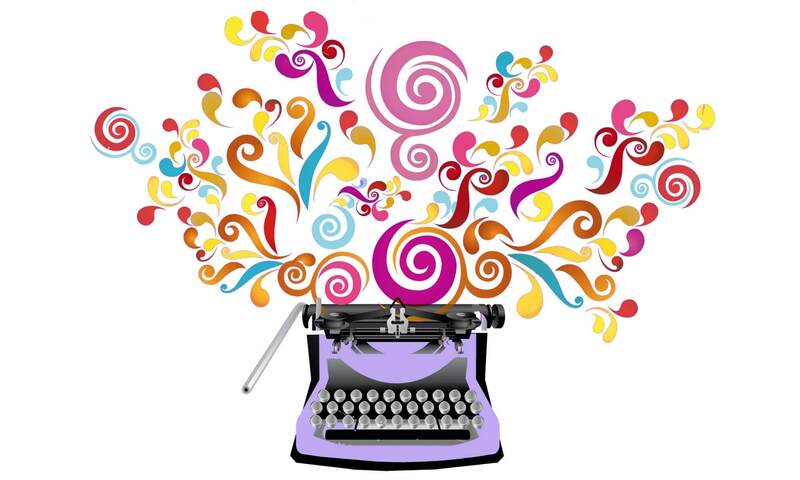 You’re also my kind of writer–all those lush ideas spinning around in your brain, waiting to see the light of day. I know you’ll get them out all in good time. Thanks, Charlotte, for this opportunity to win a workshop with you. I didn’t grab the discounts for the 2 online January workshops and am sorry I missed them. Another time. If I could make money with my writing, I’d absolutely LOVE to make money writing with added photographs on my blog. I keep taking online courses and then don’t follow through. My word for 2012 is HEART (via Quinn McDonald’s blog) and my goal is to be positive in 2012 and do my best to dispel negative self-talk and negative other-talk. Hi Charlotte. Here it is Friday before Christmas and I am just now discovering your blog. Better late than never, right? Now that I know what you’re up to (yes, I discovered your secrets!) please include me in your drawing. You’ll be happy to know that I am really working on a topic that may become part of a bigger writing project. I can’t wait to see it myself! Hey Rosemary, Glad you made your way here! Alas, this week’s contest is over, but there will be another one starting on Monday so check back then. I can’t wait to hear more about your writing project!